The Canon 60D features a flexible LCD screen that flips out and rotates for high and low-angle shots as well as video capture. Once you've used a digital SLR with a flexible LCD it's really hard to use a camera without it. The flexible LCD means that you don't always have to hold the camera up to your face to take a picture. This is especially helpful when taking portraits of children - you can hold the camera at their eye level and snap pictures without having to get down on your knees. The flexible LCD is also incredibly useful for shooting movies since it's challenging to keep the camera at eye level and follow a moving subject. Instead, you can hold the camera near chest level and keep an eye on the screen and your feet at the same time so you don't trip and go down with your expensive camera. But the flexible LCD isn't the only reason to consider this camera. 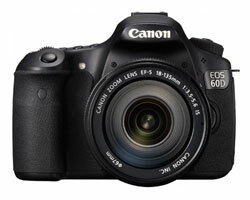 In addition, the Canon 60D features a fast autofocus, high-speed burst rate and low noise even at very high ISO settings. All this means that the 60D is a great camera for action photography, and is capable of keeping up with all manner of fast-moving subjects. 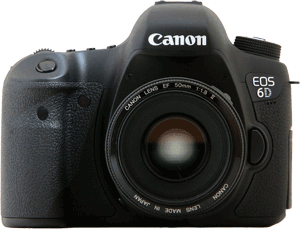 Beginners be warned: the 60D is a more advanced Canon camera and it has a LOT of features and customizable settings. It's also larger and heavier than Canon's line of Rebel cameras so if you have wrist issues it may not be the best choice. This is not to say that beginners shouldn't consider the Canon 60D as an option. Just be aware that it is an intermediate-level camera which is why it is more expensive. Put another way, it makes no sense to use a camera like the 60D in full AUTO mode. If you don't think that you're quite ready to deal with the Canon 60D features, then consider a Canon Rebel instead like the very capable Canon Rebel 650D T4i.